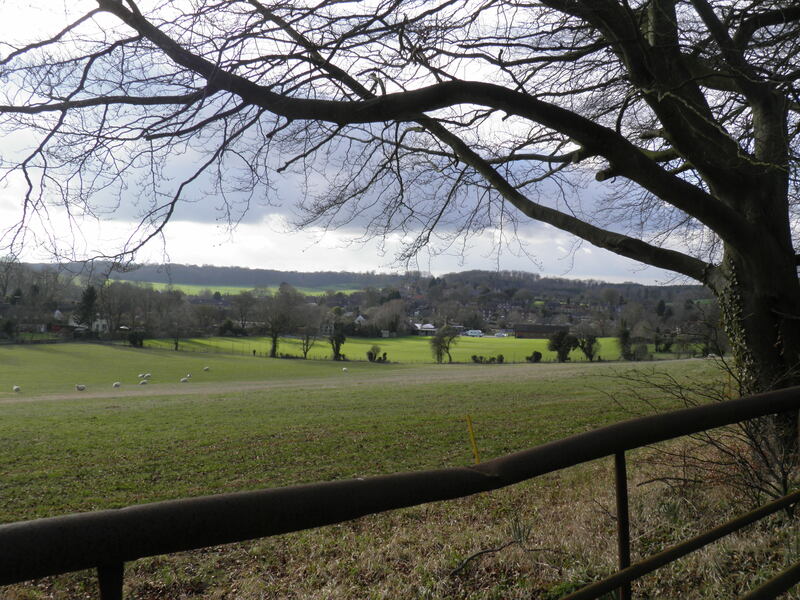 A spectacular walk through the lush fields and commons of west Berkshire to climb to the highest point in south-east England, blessed with breath-taking views, before a closing stroll through idyllic villages of thatched cottages. 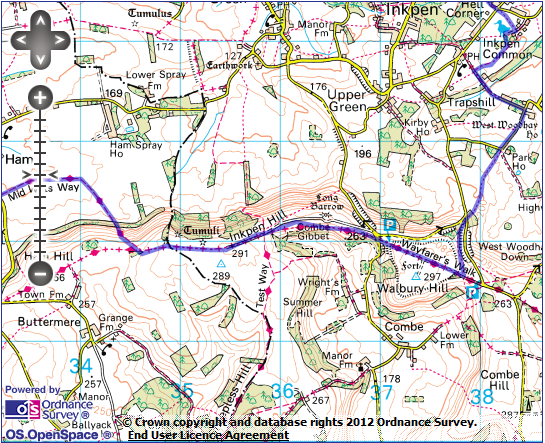 Terrain: A steady ascent pretty much all the way from Kintbury to Walbury Hill, though not hugely challenging. 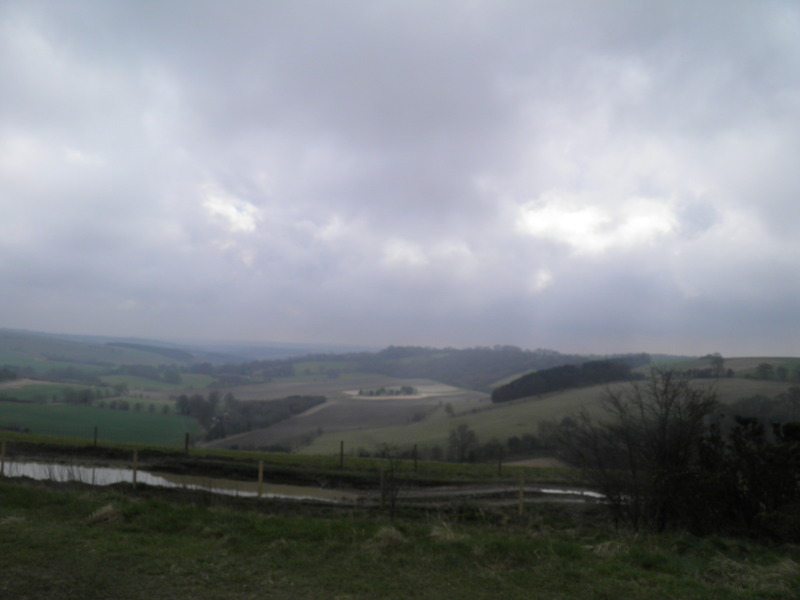 A very steep descent from Ham Hill to Ham. Maps: 1:50,000 Landranger 174 Newbury & Wantage; 1:25,000 Explorer 158 Newbury & Hungerford. Getting there: Monday – Saturday, Kintbury is served by (normally) hourly Great Western services from London Paddington (59 minutes). On Sundays, trains are every two hours, with a change normally necessary at Reading or Newbury. 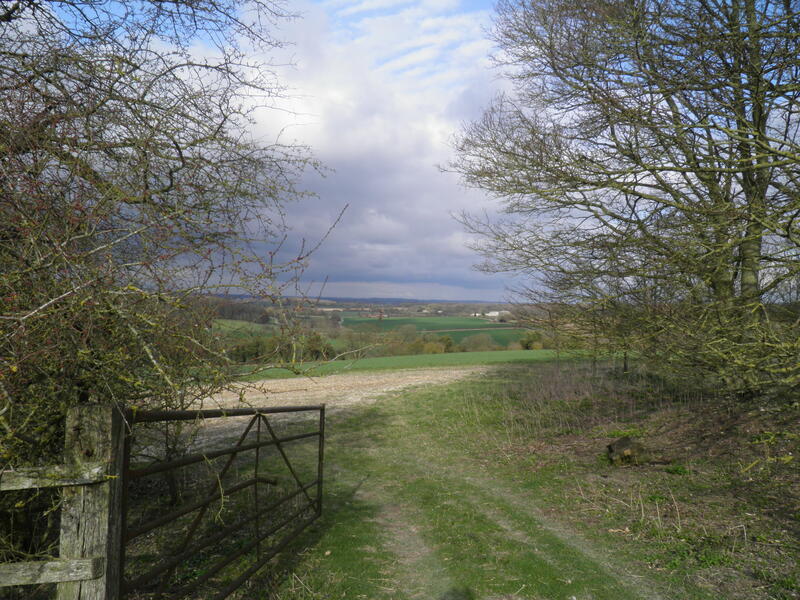 Useful websites: The walk follows parts of the Test Way and the Mid Wilts Way. 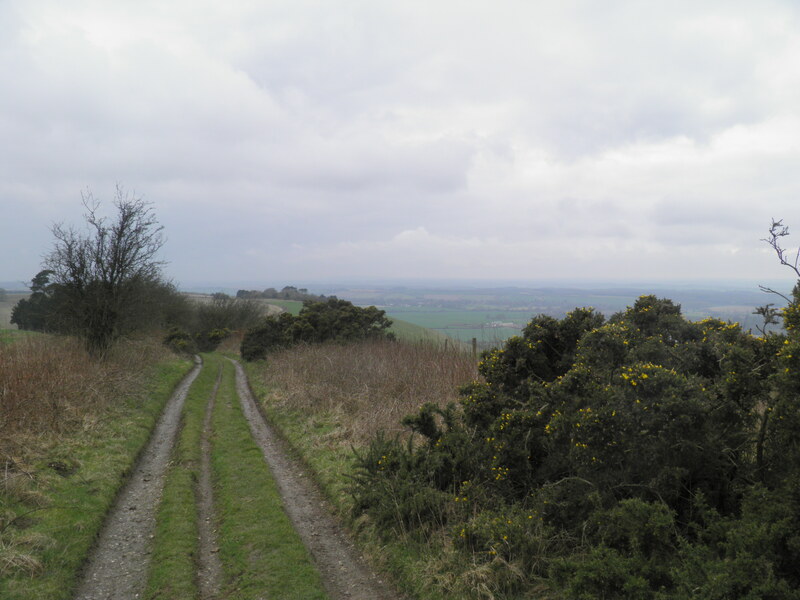 The route crosses the nature reserve at Inkpen Common, and passes the replica gallows at Combe Gibbet. Getting home: Monday-Saturday, Bedwyn is served by an hourly Great Western service to London Paddington (72 mins). On Sundays, trains are every two hours, and normally require a change at Reading. 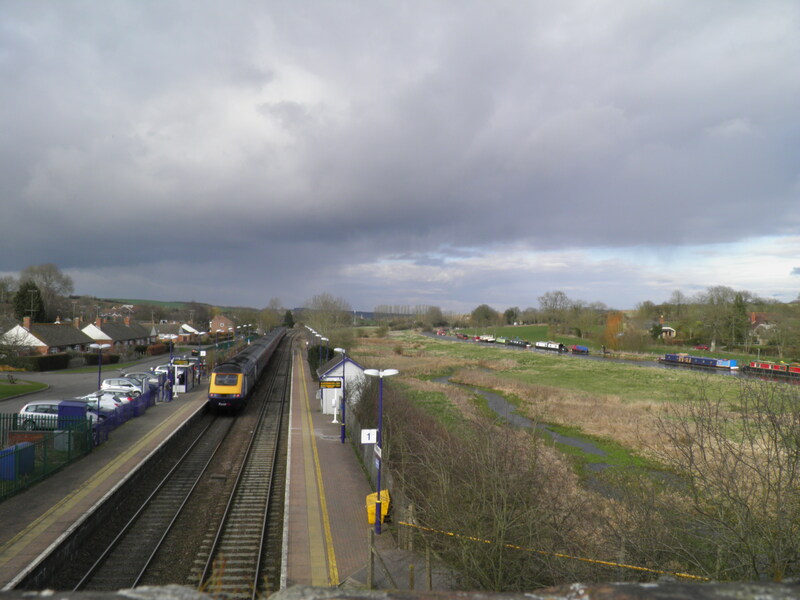 Fares: An off-peak return to Bedwyn for £25.50 (child £12.75, railcard £16.85) will cover both journeys. From the westbound platform at Kintbury, turn left along road to reach the canal bridge by the Dundas Arms pubs and turn right on the towpath, past a lock as far as the first bridge. Work on the cross-country Kennet and Avon canal, linking Newbury with the Avon at Bath, began in 1797 and was completed in 1810, transforming this into a major east-west trade route. Post-war, much of the canal fell into disuse, gradually being restored in stages from 1990 to 2003. The lock at Kintbury is one of 52 that boats climbing from the Thames at Reading to the summit of the canal at Crofton have to pass through. You may well come across a horse-drawn cruise boat operating around Kintbury. Leave the towpath here, cross the canal and climb the steps ahead into Kintbury’s churchyard. Keep to the right hand path through the churchyard and exit through a footgate, taking the fenced path ahead, past the back of the Blue Ball pub. St Mary’s Church is a Saxon-era minster, though most of what still stands today is of 12th century origin, though the doorways are Norman. 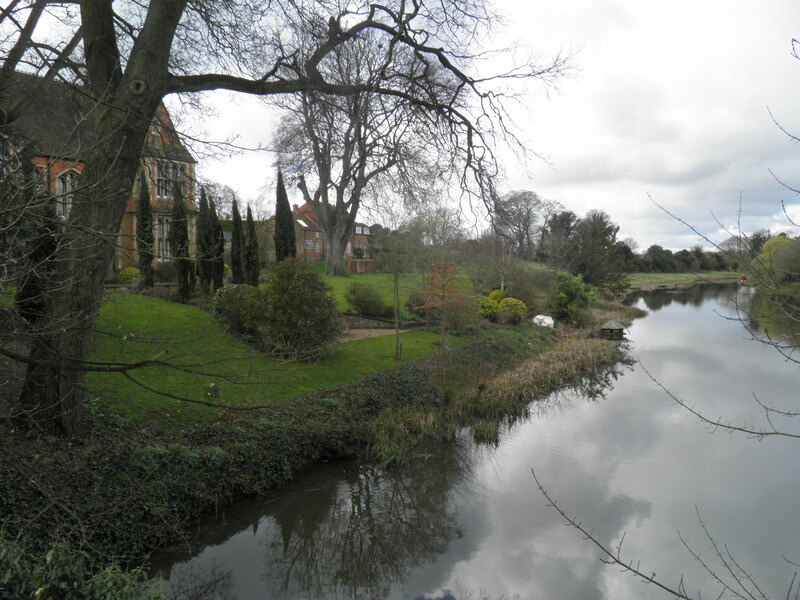 The upper part of the tower is of 15th century origin – by legend the original tower was destroyed in a great storm, leading to the ‘Kintbury Great Bell’ rolling into the river, from where a local witch prevented the local people from retrieving it. You emerge on a village street by the side of the pub and take Titcomb Way opposite (footpath sign), very soon following the fenced path to the right. This leads onto a long path across the fields between hedges, eventually doglegging right across a small stream, before climbing gently across two fields to emerge on a small road just past little Titcombe Manor. substantial brick manors. As you climb, the northwards views which are a feature of the next few miles begin to open up behind you. Cross the road and take the fenced path opposite. At Fox Hill, follow the path diversion signs around the garden. On reaching a driveway by the gates to ‘Jangles’, take the bridlepath downhill to cross a small stream in a wooded dell, then climbing to follow Willow Farm’s drive to a road junction at Hell Corner (which is much nicer than it sounds). Take the footpath opposite through a kissing gate onto Inkpen Common nature reserve. Follow the broad grassy path to reach a waymark post. Here head right on a permissive path to reach an isolated bench. From here take the path to the right of the information board, walking between silver birch. 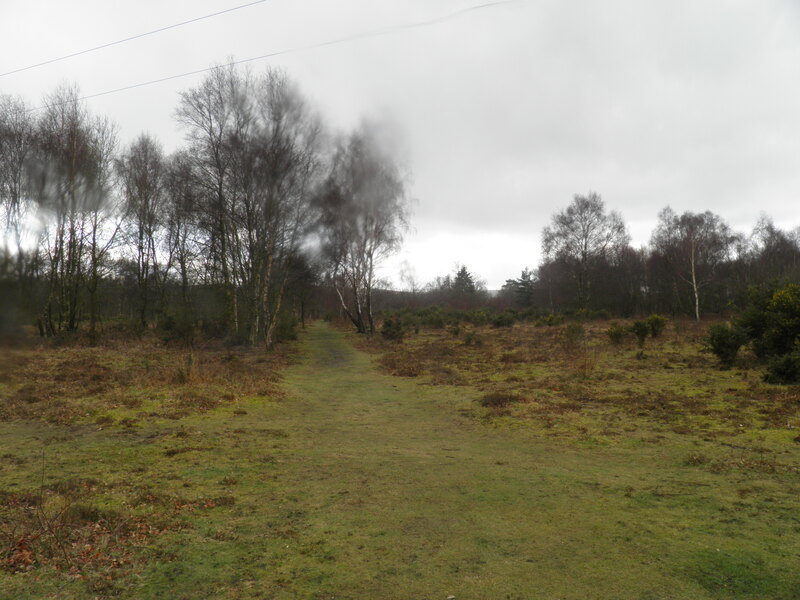 Inkpen Common is a rare surviving patch of Berkshire heathland, providing a habitat for a number of rare heathland plants, including the pale dog-violet, heath milkwort and common dodder. 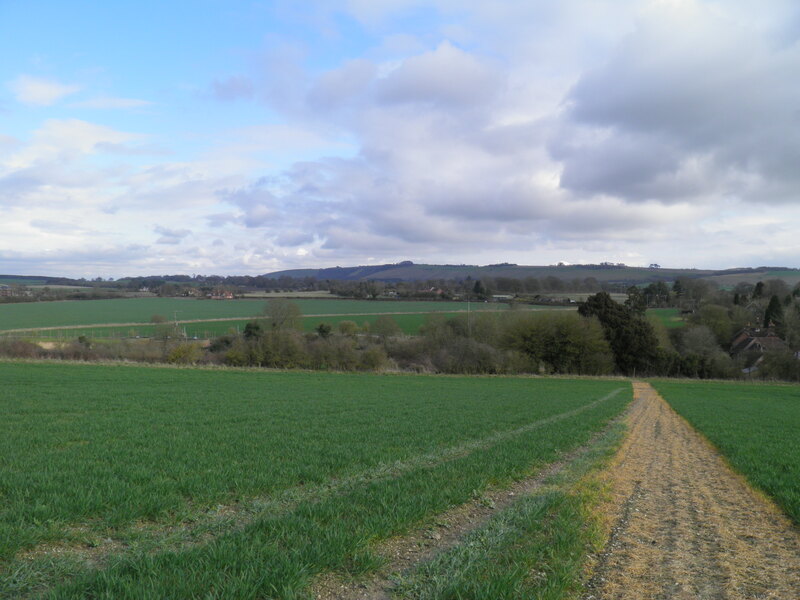 The 12 hectare common is now managed by the Berks, Bucks & Oxon Wildlife Trust. At another waymark post turn left on the public footpath then immediately right again, following a permissive path. A broadwalk across the marshy parts of the Common leads you to a footgate out onto a bridleway. Turn right on this slightly muddy path to eventually reach a firm track, where you head left (following the byway sign). Past attractive Prosser’s Farm, this becomes a minor road, dropping through a small valley and past a pleasant row of houses to a T-junction. Turn right here on the road heading towards the ridge of hills, passing along the wall of large West Woodhay House. At a sharp right hand curve, ignore the footpath signed straight ahead, but take a second footpath to the left immediately after the corner, climbing beside the wood. There now follows a steady ascent, with views opening up to the north and east, to eventually reach a small road. Take the narrow path opposite into the scrubland. 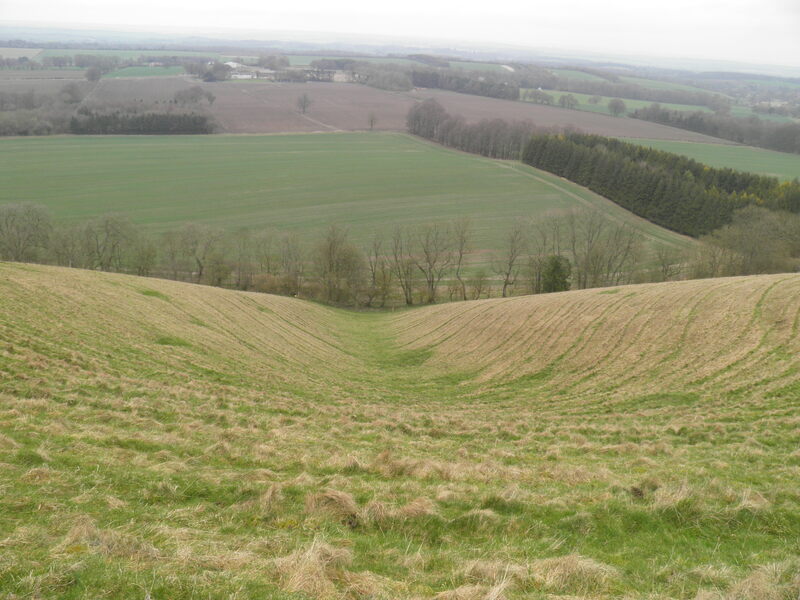 A stile leads out onto the open grassy slopes of Walbury Hill and you continue to climb, with earthworks and former pits visible all around, to eventually crest the hill and cross another stile to join the ridge way track, now with fine views south into the heart of the Downs. 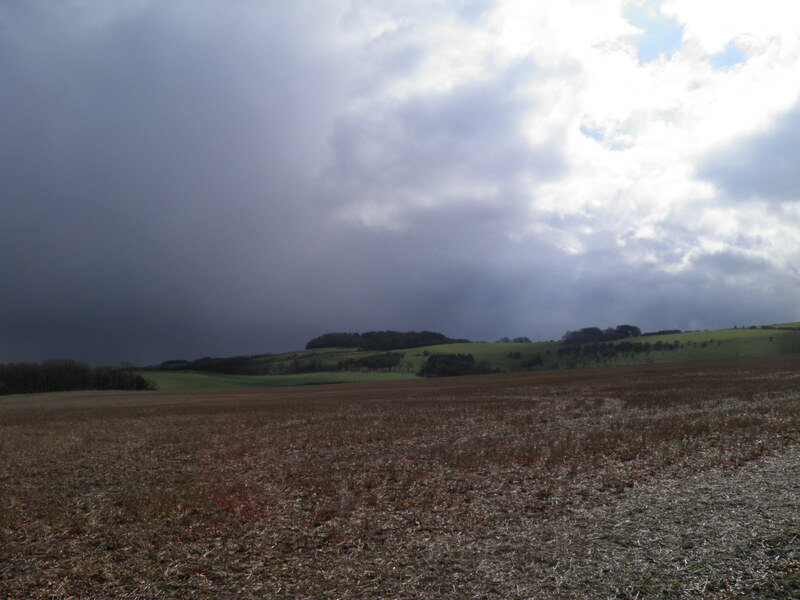 Turn right, passing through the ring of earthworks of the Iron Age hill fort and head over the flat top of Walbury Hill. As you cross the top, you can unofficially pass left through a gate to the triangulation point in the middle of the sheep-grazed field, marking the summit of Walbury Hill and the highest point in the political and statistical region of south-east England. 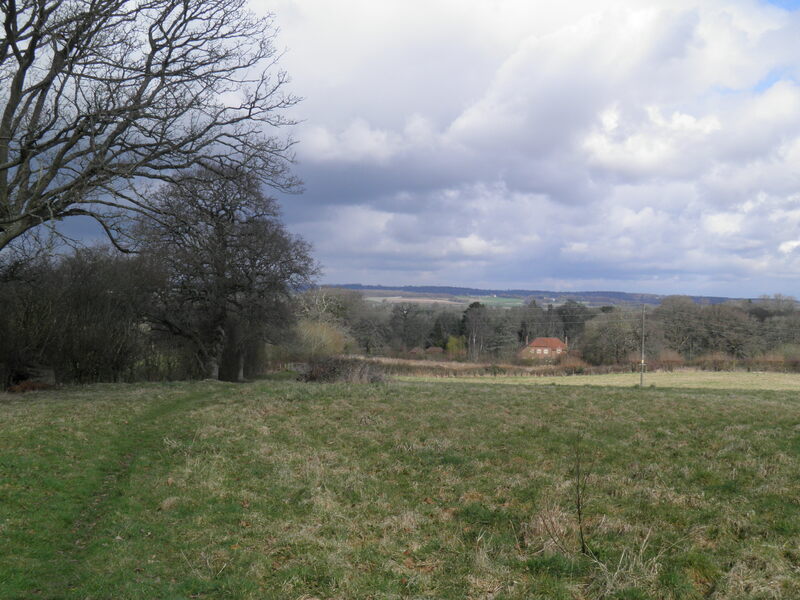 It only just meets the criteria, being less than a mile from the border of Wiltshire (in the south-west region) and at 297m, is only slightly higher than Leith Hill in Surrey, at 294m. Additionally, Leith Hill ‘cheats’ by having a 20m-tall tower on top of it! The south-east region excludes Greater London, otherwise Walbury Hill would also be beaten by the 304m Shard, once completed. The chalky track drops to a road junction at a pass in the line of the ridge. 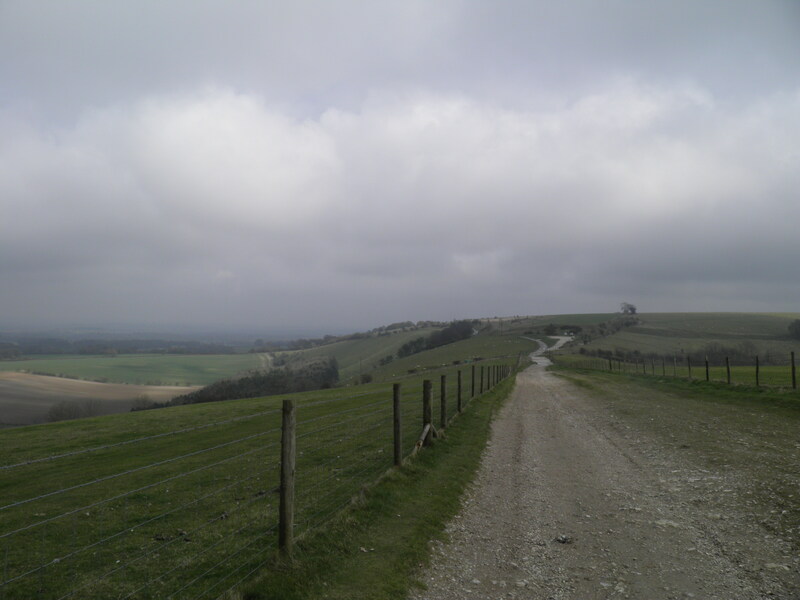 Take the broad track ahead, climbing again towards the replica gibbet on Combe Hill, passing a sign marking the start of the Test Way, which runs 44 miles from here to Southampton Water. Climb to reach the summit of Combe Hill. The replica gibbet on Combe Hill, whose rather menacing silhouette is visible for miles around, sits on top of a very clear, 60m-long long barrow, a neolithic collective tomb. A gibbet was originally put up on this site in 1676 to hang George Broomham and Dorothy Newman, who murdered George’s wife and son when they discovered his affair with Dorothy, the murder being witnessed by someone reassuringly named ‘Mad Thomas’. They were the only people ever to be executed here, but a gallows (and numerous replacement replicas) was retained in this prominent position as a warning to those tempted to commit crime. Past the gibbet, the track drops again slightly to eventually reach a track junction by a group of large trees (Wigmore Pond is to your right, but well hidden). Keep straight ahead on the hilltop byway. Descend slightly to a second footgate on the edge of steep drop. From here, follow the faint path descending the steep grassy slope. At the foot of the hill, pass through a footgate and head left along the faint track. On reaching the first hedge, follow a waymark to the right, before cutting left through the first gap in the hedge to take a broad path cut diagonally through the crops in the huge field. On the far side of the field, turn left on a broad track towards the houses on the edge of Ham. 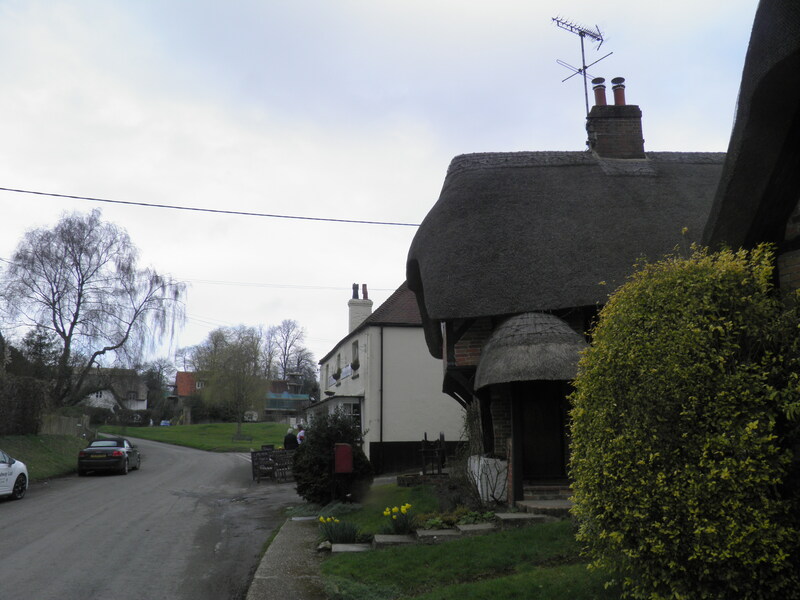 Turn right on the road twisting into Ham, passing substantial thatched cottages. The sleepy Wiltshire village of Ham frequently played host, between 1922 and 1960, to members of the literary Bloomsbury Set, after a house in the village was purchased by authors Lytton Strachey and Frances Partridge. Just before reaching the Crown & Anchor pub and Ham’s pretty village green, turn left on a road signed to All Saints’ Church. After crossing a small stream, turn right at a bridleway sign and head straight across the field to a second gate onto little Field Lane. Take Field Lane left, following it through a dip and then through a dogleg. Just after the second corner of the dogleg, follow footpath waymark to the right, crossing a large field diagonally. From the field corner on the far side, a fenced path leads all the way to Manor Farm. Cross the track here and take the stile opposite. Head straight across the field towards the houses at Shalbourne, to a kissing gate which leads out onto a road. 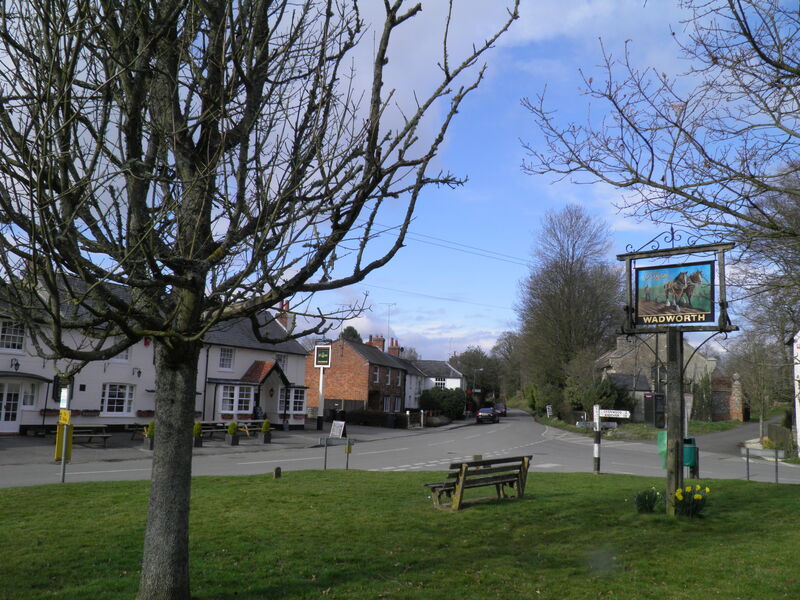 Turn right to reach the delightful village green, with the Plough Inn and Manor Farm on opposite sides. Turn right from the green, passing the post office and more thatched cottages. Where the road swings right, take the track signed to the left as a byway. This leads through the bottom of a small valley, on the far side of which you turn right on a footpath, following the field edge. Through the trees there are glimpses of watercress beds and Shalbourne’s church. Just before reaching a road, turn left on a clear path cutting straight uphill to the A338 at the top of the field. Take the footpath opposite, following right hand hedge over top of the low hill and then descending a rather unclear path along the edge of a pheasant-filled wood. In the bottom of the next valley, you briefly join the small track before heading uphill again with the edge of the wood on your right. 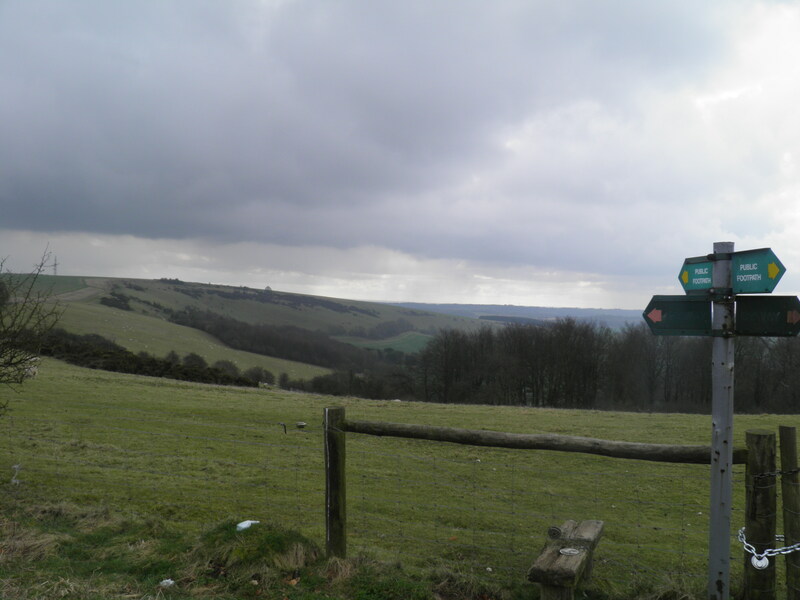 At the top, turn right on a clear path, before soon heading left, following a footpath waymark. Cut across the field (you may need to step carefully over electric fences if there are sheep grazing here) to the corner of the wood ahead. A reasonably clear path then drops through the trees, into a quiet valley. Take the little footbridge across the stream and then head straight uphill to join a concrete track. The track runs across a high, flat wheat field, to eventually reach a T-junction. Turn left here, passing Burridgeheath Farm. At a track junction a little beyond the farm, veer right, leaving the metaled track for the sandy track heading west. becomes a tree-lined path, climbing over a low rise before descending into the Dun Valley. On reaching a concrete track just above the canal, turn left, soon passing the cottages on the edge of Great Bedwyn. At the end of the track, turn right on road, over canal and railway bridges. After railway bridge, turn right on The Knapp to access the London-bound platform. 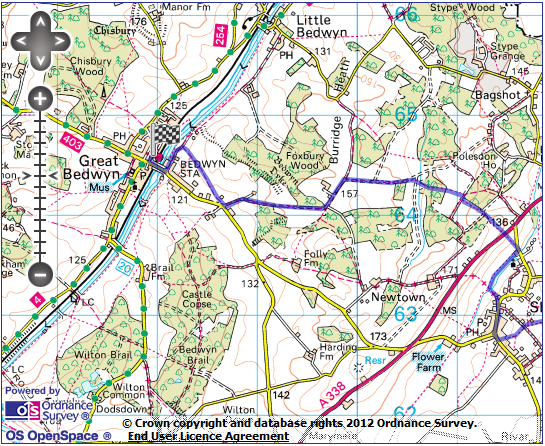 Alternatively, the attractive centre of Great Bedwyn, with a number of pleasant pubs is about 50m straight ahead. 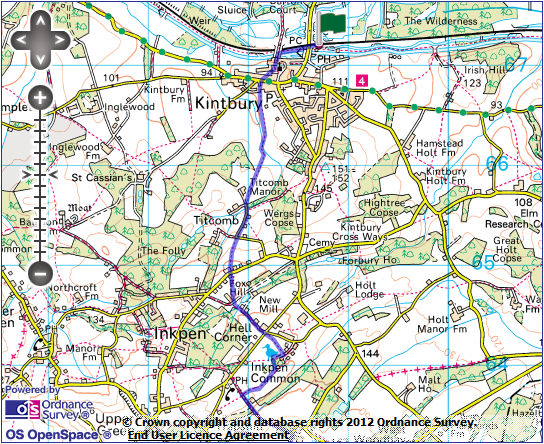 I completed this walk on Saturday 25 July. Myself and a friend have decided to do the Yorkshire 3 peaks challenge in September so i’m trying to find any training walks that involve hills near where I live. Overall I found it quite challenging, parts of the listed route have overgrown and there have been other physical changes meaning that it’s hard to follow where you need to go. I ended up having to use the map to find alternative routes. 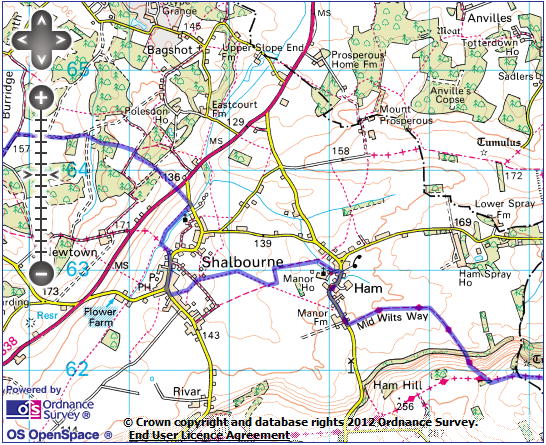 I would especially advise against following the last part between Shalbourne and Bedwyn, the routes are almost non-existent in places. Take the main road instead. There are some fantastic views and really interesting parts though.